You’d think that we’re a little obsessed with beer and whisky ‘round these parts, but the truth is that we appreciate a good small batch pop too. Thankfully, we picked up a few bottles of Just Craft Soda the other day, and man does it hit the spot. Unique flavours: Why stick with different takes on the same old thing? There’s Peach and Habanero (which has a gentle peach flavour followed by a little heat at the finish), Apple and Ginger (imagine a ginger beer, but make it sweeter and rounder), Lemon and Lemongrass (the sourness of the lemon is cut with a bit of sweetness), Pear and Vanilla (so mild you’ll forget it’s pop), and Cherry and Cinnamon (which is like Christmas in a bottle; it’s not overly sweet, but very rich). 60% fruit juice: don’t want to feel bad about drinking pop? Well, it’s mostly juice. No artificial flavours: if you’re sticking to all natural ingredients, this pop can work for you. Limited availability: Hopefully you’re in a big city or near a retailor with good taste, because like all things craft, you can’t pick up a bottle just anywhere. Thankfully, they make it easy for you. 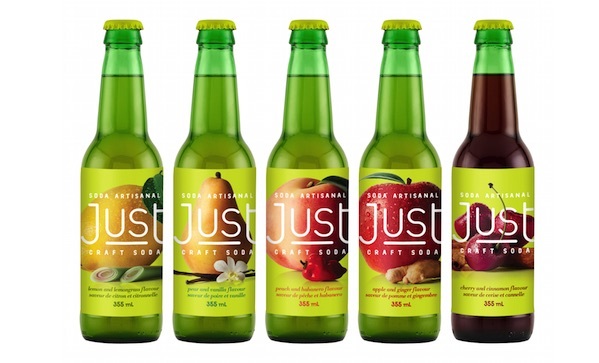 If you’re the kind of person who’d rather buy one really neat bottle of pop instead of a case, savouring it instead of chugging it, then check out Just Craft.